Board Game Bento is a monthly subscription box for board gamers. I've never subscribed before but since there was a 25% off coupon for December and I wanted to treat myself for Christmas, I decided I would try out a one month subscription. The weather has been pretty yucky and the theme of the box was "Fun in the Sun; Not Sports 2" so I figured some summer games would be a good way to start off the new year. The box did end up being delayed due to weather, of course, but arrived late last week. If you missed out on the unboxing you can watch the video below. The good thing I can say about this game is that due to character abilities, setup, rule and difficulty variants the game has a high replayability value. The components have okay quality but I found the art very bland. The real deal breaker for me was finding several mistakes with the rule book so quickly. While reading the rules out loud to explain the game, my opponent was following along on their player screen. We found that the Push and Copy cards are illustrated incorrectly in the book as well as the rule book saying that you may pass a flag to a runner OR a defender but the player screen saying only a runner may pass or receive a flag. This put me off from the game and will likely prevent me from trying any of the variants. If you can get past the few mistakes in the rule book this game is worth trying. If you're somebody like me who needs well written and definitive rules you might want to take a pass on this one. The quality of the cards in this game is fine. They're not extra heavy but they are heavy enough to meet the requirements of the game. The art is okay but still a little bland for my taste. I did enjoy this game more than I expected to at first glance. It plays quickly and some of the cards do add a fun twist to the game play. You can read the rules and start playing in under 5 minutes with no questions asked. That in itself is pretty impressive. I did notice one card in particular that I found quite over powering. The card allows you to play two extra water balloons on your turn, which can be enough to wash out 1 to 2 kids on the first turn of the game. Not really ideal in a two player game for sure. One could argue that this card is balanced by the card that allows you to have a washed out kid return to your team dry, but this relies heavily on luck. In the end I think it's a perfectly okay filler game once in a while if you have only 15 minutes to kill. Alternatively if you have kids old enough to read I think this game would be a great fit. 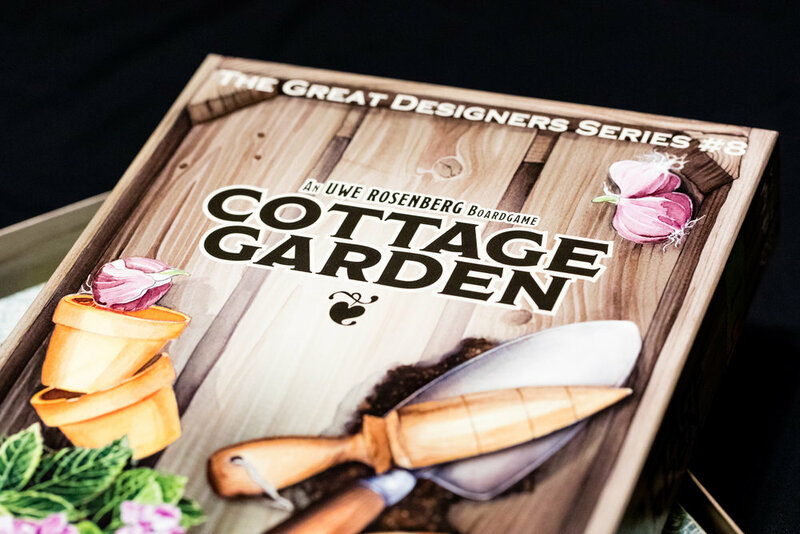 I haven't had time to play a 2-4 player game of Cottage Garden yet but I did play it solo on the first night I opened it. I definitely enjoyed it. I would say that I am likely to take it out again on my own and have considered it multiple times since my first play. In the solo game I found myself spending a lot of time thinking and trying to optimize my decisions knowing that there would be no other players to affect my subsequent turns. I really enjoyed the strategy aspect to this. I was actually thinking this would be a great game for a phone app and it turns out it already is. The components are nicely made and suit the theme of the game. I will definitely be doing a full review on this one in the near future. Despite having 25% off my subscription, once the cost of shipping and the USD to CAD exchange were applied, I was still paying about $75 Canadian. Add another 25% to the cost and that is a hefty price tag for some mystery games. It might be more worthwhile if you were purchasing and shipping within the US but I'm not about to recommend it for my Canadian readers. Overall I'm not really impressed with my box. Yes, I was happy about one of the games but I would have preferred two solid games over one solid and two mediocre games. I don't feel as though I've received a deal since two of the three games are unlikely to be played. I understand that this is the risk you take with mystery boxes but I just don't think Board Game Bento is going to be the right subscription box for me. The other thing that disappointed is that two of these game are clearly sports related so I feel that the name "not sports" was misleading. If you're looking to check out any of these games for yourself, they can be purchased at the links below. Come back next month where I'll be unboxing a subription box from my local board game cafe. 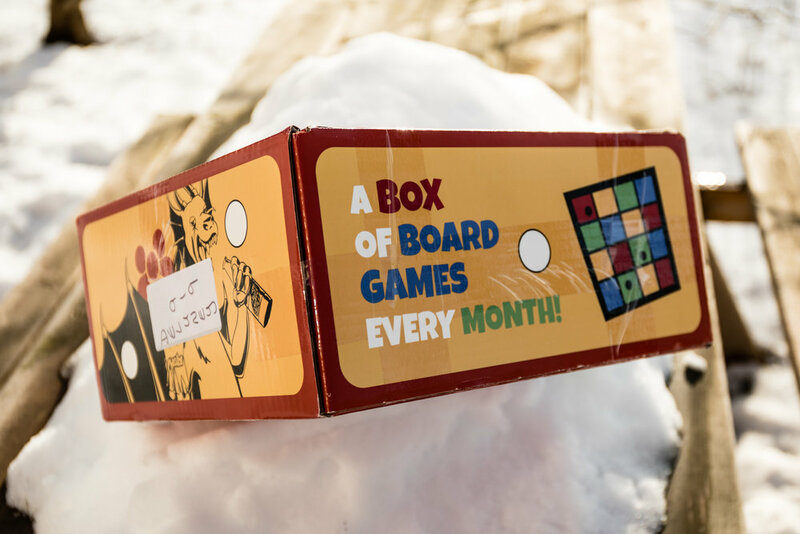 Have you ever tried a board game subscription box? What were your thoughts?